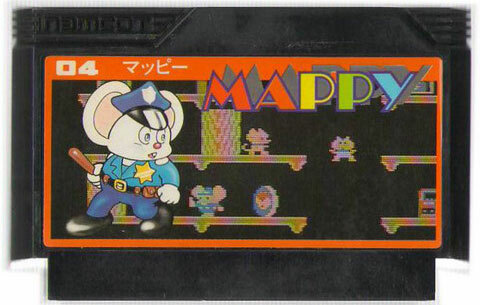 The sort of title that works a treat as Nyamcot (as the cat crooks of the game would say) brings its vintage arcade formula to the Famicom. 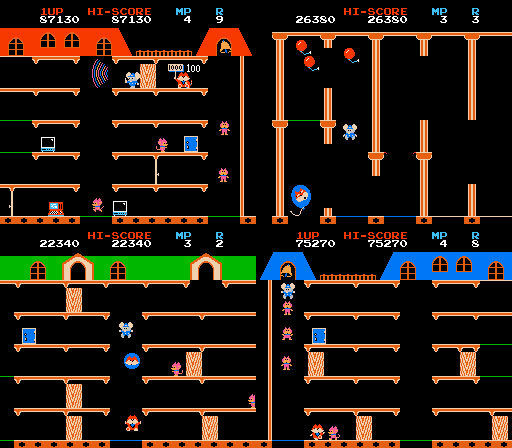 Players star as a wee mouse that must retrieve stolen goods from the platform levels with the help of trampolines from the bad cats. Pairing up hot goods results in a higher score and adds an extra tactical dimension to the gameplay. A real cult classic. Second hand. Please note: no box nor manual are supplied. Slight sun fade to cart sticker.